Material: Made of aluminum alloy and real carbon fiber. 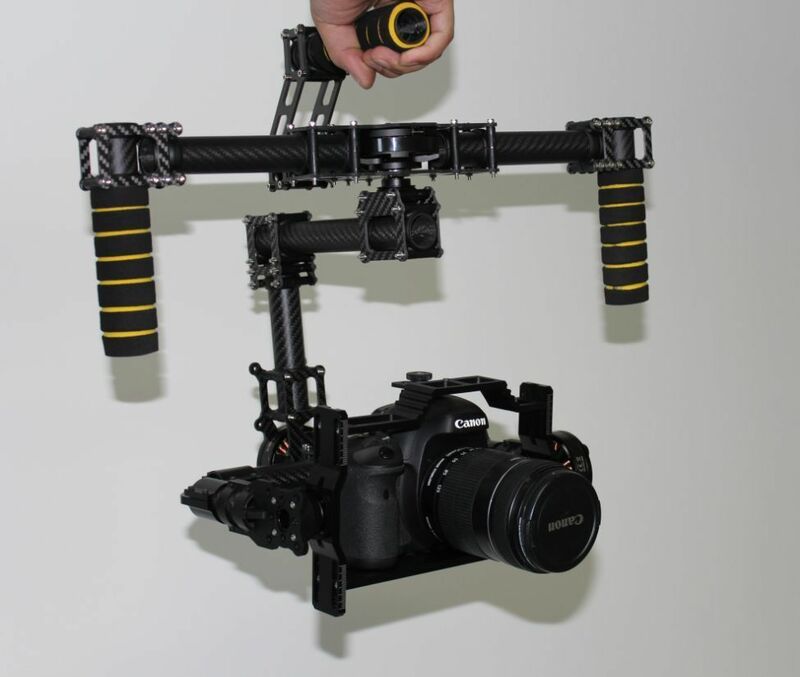 HG3D Universal handheld 3-axis brushless gimbal for Mini SLR, such as Panasonic GH3/GH4,Sony Nex 5N/5T/5R A5000/A6000/A7, it bases on Storm32 open source solutions, and we carried out a proper optimization, it can lead to better results. 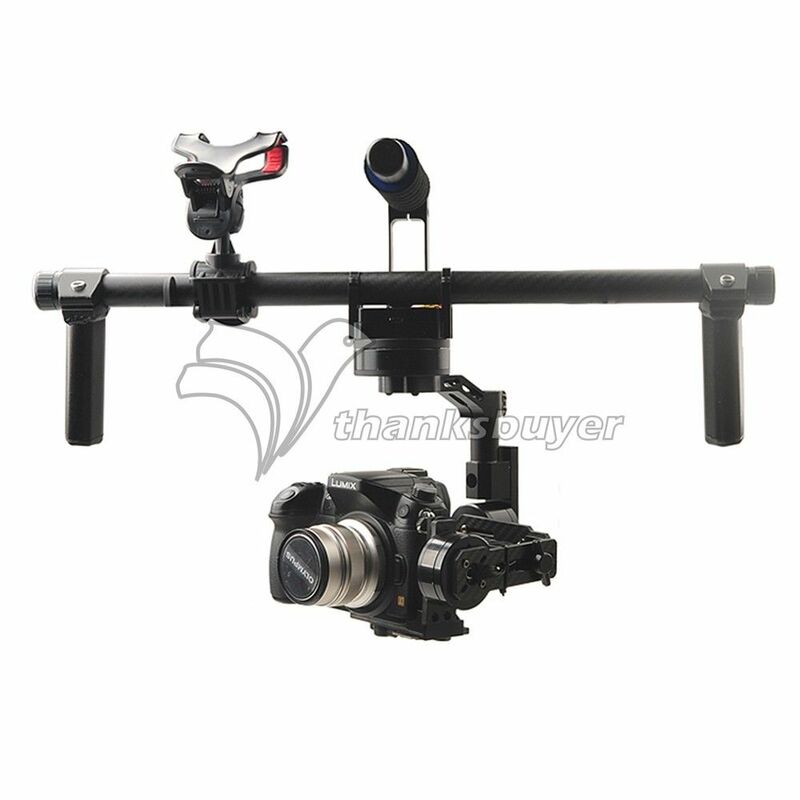 It is a handheld gimbal, and also can be used to install additional damping suspension assembly aerial photography, high-efficiency direct-drive brushless motor, through advanced algorithms and 32-bit processors operational advantages make the camera in the air holding steady as possible, be able to bring the ultimate picture experience.